Come by and sign-up for a fun and exciting summer!!!! School year 2018-2019 will start August 6th, 2018 and will run until May 25th 2019. When you sign-up for classes you are enrolled in classes until May 25th, 2019 unless you give us a 2 weeks written drop notice. Lunch Bunch is a time when the kids can come to the gym. 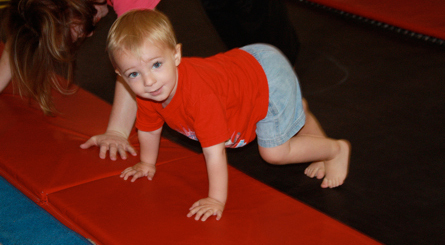 They will bring their lunch and will enjoy the time doing gymnastics, story time, games, crafts, and fun. You must sign-up in advance Spaces are Limited. 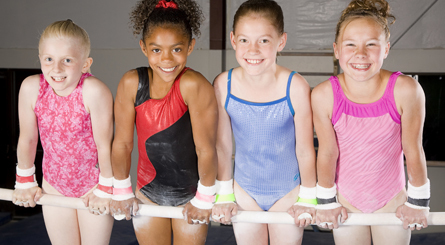 The kids will enjoy Pizza, Gymnastics, Games, and Supervised Fun In The Gym! 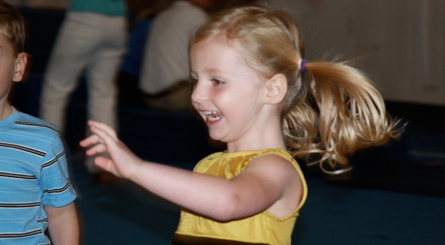 If using a Kids Night Out card, it must be surrendered at time of payment reservation. Coupon cannot be applied to fees other then Kids Night Out. January 23rd-January 28th, 2012 is Star Achievement Week. Students will be working on skills and progressions throughout the year. October, January, and April students will earn stars for the skills and drills they have accomplished. Each event will earn their own skills. We will keep track of their skills on their star achievement cards. The kids will receive a ribbon every 3 months for all their hard work and accomplishments. At the end of May they will show off all the skills they have been working on throughout the year for awards week and receive a medal.